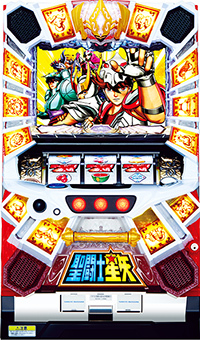 We have introduced a pachislot machine of “Saint Seiya” couple of days ago, but since new pachinko machine of “Saint Seiya” will be released soon, we will introduce it!! 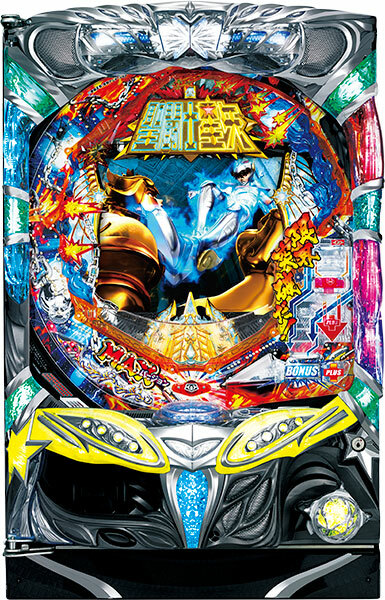 Special features of this machine is the amount of jackpot player gets due to the ultimate winning feature and powerful battles already familiar with its past machines. During a jackpot round, player gets to choose the story if he/she wants to battle against Gold Saints with a party, or against Poseidon, the God of the sea. With the battle against Poseidon, player chooses a character to battle, and by this, renditions will change so that player won’t get bored with same renditions over and over again!! It is expected to make its debut on the 5th of October!! Let’s experience the powerful battle at the parlor!! The latest pachislot series of “Saint Seiya” has been released at last!! Chassis has been renewed for this machine, as well as its new characteristic of player winning the jackpot all on his/her own. As for the rendition aspect, on top of the usual battles against Gold Saints and the nemesis of Saga, the “War of a Thousand Days”, “Generals Battle” will be invoked when a player gets a premium bonus!! Player gets to win a large amount of jackpot along with battles against Generals from the Poseidon series, which is the first re-enactment of the story for a pachislot machine!! Expected month of debut is September!! Enhance your “Cosmo” and awaken the seven senses! !